Part of my ministry as a teacher is to put excellent biblical material into the hands of Bible students -- including those who teach. 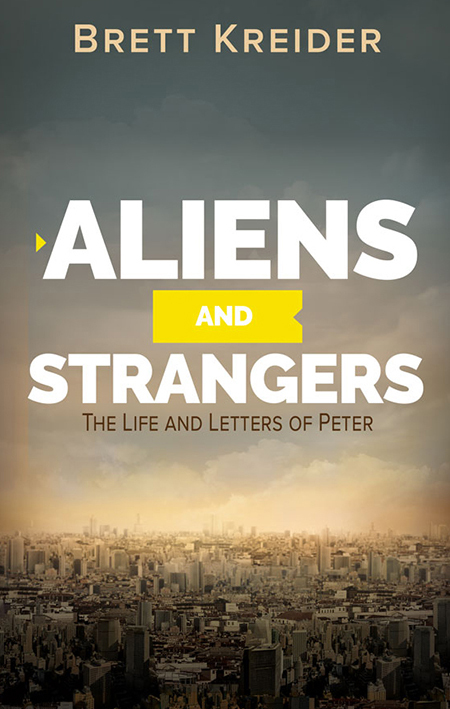 So I'm proud to recommend by friend and fellow teacher Brett Kreider's book, Aliens & Strangers: The Life & Letters of Peter. Too often, Christians today blend in with everyone else. Rather than “strange,” we appear normal; instead of “aliens,” our lives seem no different than the citizens of this world. Peter’s call was to choose inheritance over indulgence and conviction over compromise. “Dear friends, I urge you, as aliens and strangers in the world, to abstain from sinful desires, which war against your soul. Live such good lives among the pagans that, though they accuse you of doing wrong, they may see your good deeds and glorify God on the day he visits us” (1 Pet 2:11-12). The Christian life is so counterintuitive that Peter called Christians aliens, strangers, foreigners, and exiles. Christ transformed the impulsive, stumbling fisherman into one of the most influential men in history. People took note that this “unschooled and ordinary” man had “been with Jesus”! What happened to him? How did he change? Find out by getting a copy of Aliens & Strangers. 36 daily devotionals explore Peter’s life and teaching, so that we too may learn to live like exiles—men and women who temporarily reside in this world, but whose true citizenship is in heaven. Brett graduated from MIT and the University of Maryland with degrees in electrical engineering, and has also served for many years in full-time church work. Brett and Beth have three children, and live in the Washington DC area. He works as a cybersecurity consultant, and serves the NoVA Church of Christ as congregational teacher. We have been friends since 1993.